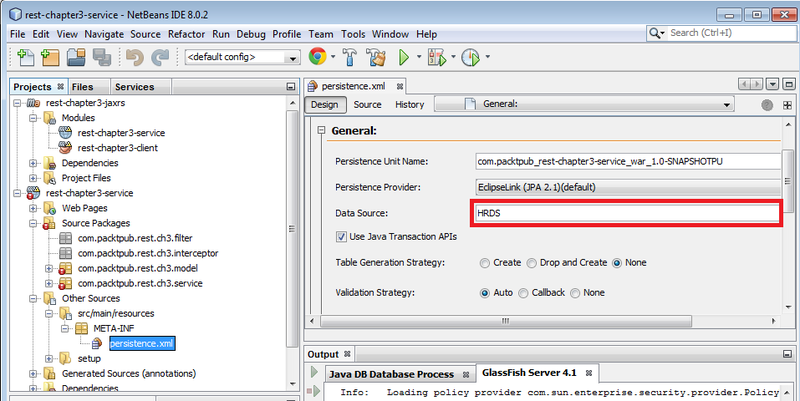 This post shows how to configure JNDI data source connecting to Oracle database in GlassFish server. 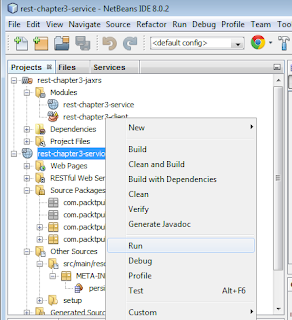 Although this post is written to help readers of RESTful Java Web Services - Second Edition to run the examples shipped along with the book, the steps discussed here are generic in nature and applicable for any Maven based project that you want to run from NetBeans IDE. 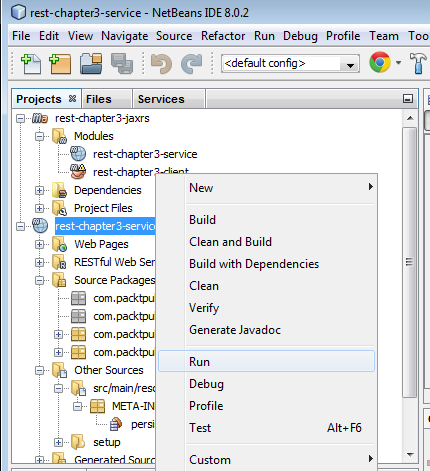 What if you want to run a Java EE example, shipped by third party, from NetBeans IDE? 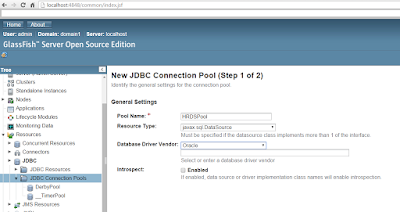 How do you define JNDI data source used in this example in the integrated GlassFish server? 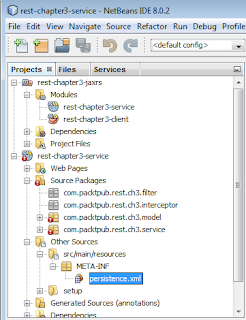 This post details the steps that you may want to follow for running a Maven based JAX-RS application that uses JNDI data source connecting to Oracle database from NetBeans IDE. Download and install NetBeans IDE. To download NetBeans visit: https://netbeans.org/downloads/ . We need GlassFish server to deploy and run the samples, so choose the NetBeans IDE Download Bundles which comes with an integrated GlassFish installation(To ensure this, choose the download bundle as 'Java EE' or 'All' in download page). Download and install Oracle Database 11g Express Edition (Oracle Database XE). To download Oracle XE go to http://www.oracle.com/technetwork/database/database-technologies/express-edition/downloads/index.html. Details are available here: http://docs.oracle.com/cd/E17781_01/index.htm. 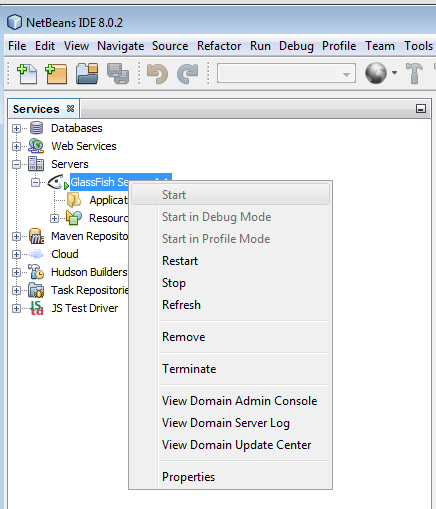 Here are the steps for defining JNDI data source connecting to Oracle database in integrated GlassFish server (which comes with NetBeans IDE). 4. Once GlassFish is up and running, Open the admin console in the browser by navigating to: http://localhost:4848/ and then in the home page, navigate to Resources | JDBC | JDBC Connection Pools. Add a new JDBC Connection Pool(e.g HRDSPool ). 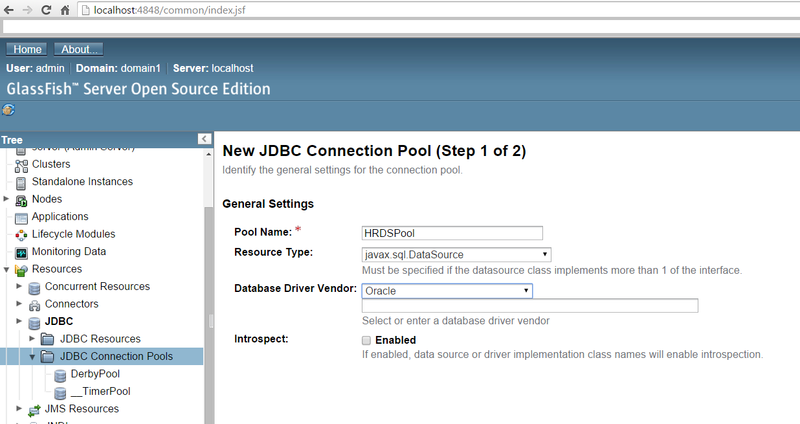 Choose the the Resource Type as javax.sql.DataSource and Database Driver Vendor as Oracle. This is shown in following screenshot. 5. Choose Additional Properties tab and enter User(e.g hr), Password(e.g hr), URL(e.g jdbc:oracle:thin:@localhost:1521:XE), and DataSourceName(e.g OracleDataSource) as shown in the following screenshot. Save all changes. 7. Save changes by clicking OK.
8. Now go back to NetBeans IDE and open the JAX-RS maven project that you want to run from NetBeans IDE. You can open the project by choosing File | Open Project. The following JAX-RS example application uses JPA to read and write data to Oracle DB. 9. We need to modify the data source name used in this application with the one that we defined in Step 6,. 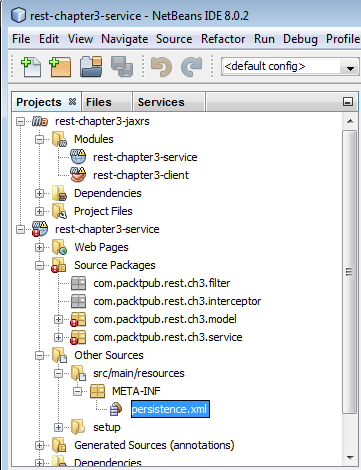 To do this, open the src/main/resources/persistence.xml in the editor and set the Data Source to the JNDI name that we defined in Step 6 (e.g HRDS). This is shown in the following screenshot. 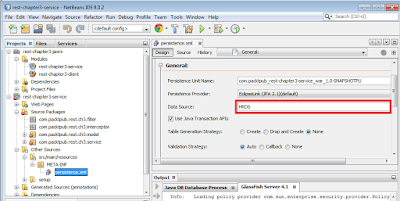 This example connects to HR database schema via the the HRDS data source.